This friday Nancy Ponto with her incredibly soulful and powerful voice who is becoming well known as one of the best Indonesian Soul and Jazz singers of the modern era. A huge fan of Aretha Franklin, Etta james and Ella Fitzgerald who realized her talent in singing at a very young age, as a gospel singer in her church. 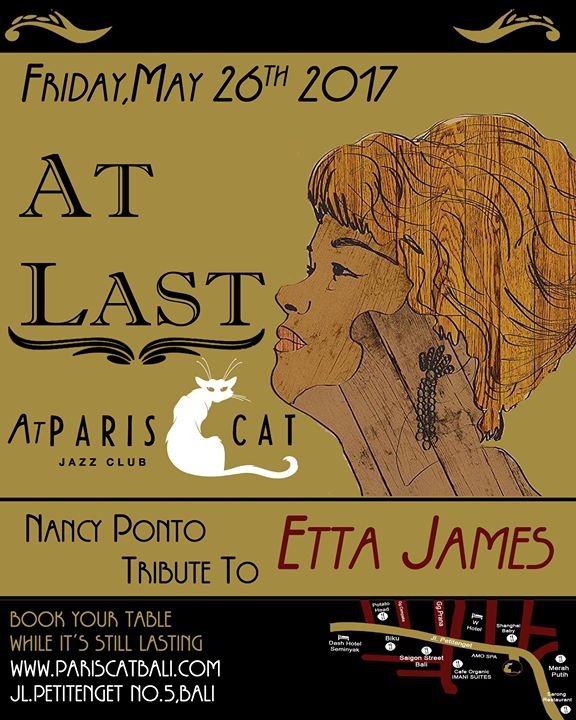 She sings with true emotion and power, sending shivers down the spine and setting fire to the soul of the audience will give us a chance in re-imagining the amazing music of Etta James and her powerful blues.